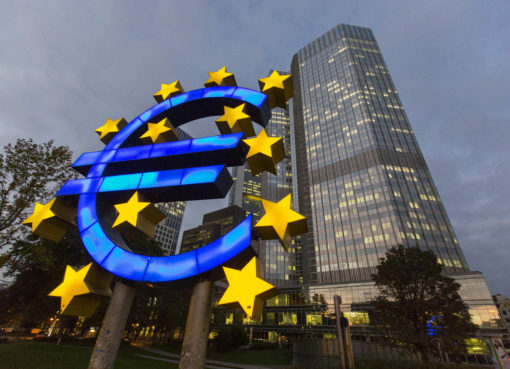 EUR/USD trades around 1.1400; gains some ground in the near term. 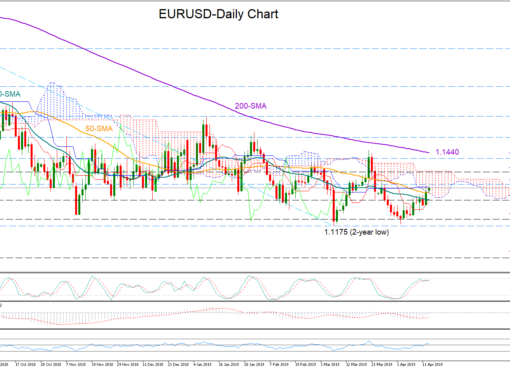 EUR/USD recorded a stunning rally on Friday, hitting the 20-simple moving average (SMA) in the daily timeframe, paring the strong losses that it posted the day before. 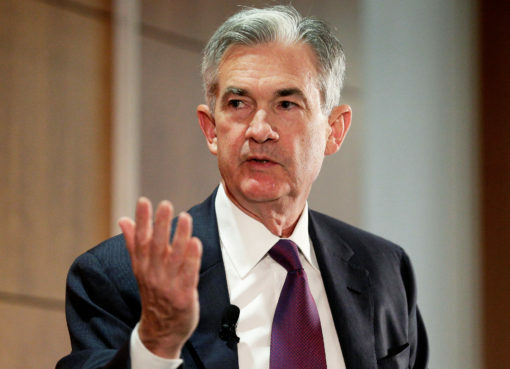 Currently, the pair is trading around the 1.1400 psychological level and the technical indicators are supportive of the neutral to a bullish picture. The RSI indicator is trying to jump above the neutral threshold of 50, while the MACD oscillator is strengthening its positive momentum in the negative territory. If the bulls manage to send prices above the 20-day SMA then the expectation is a touch of the 23.6% Fibonacci retracement level of the down leg from 1.2550 to 1.1215, around 1.1530. A clear break above this area may pave the way towards the 1.1570 resistance barrier, taken from the high on January 10. 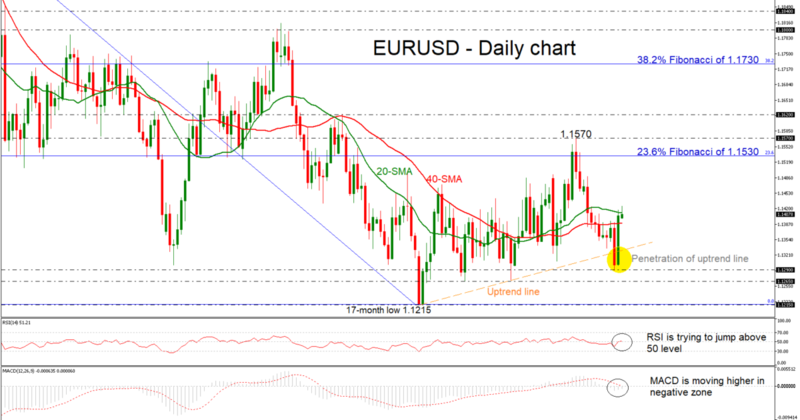 An upside extension could confirm a forthcoming higher high in the short-term and challenge again the 1.1620 level. On the flip side, a dip below the 40-day SMA would bring the pair within the 1.1265 – 1.1290 support zone. Steeper declines may set the stage for a retest of the 17-month trough of 1.1215, identified by the low on November 12. 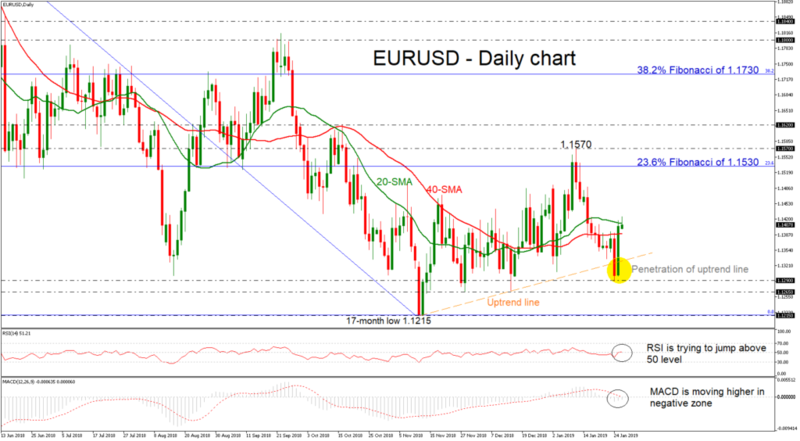 To summarise, EUR/USD turned the bullish outlook to a more neutral one in the medium term, after the penetration of the ascending trend line in the preceding week.